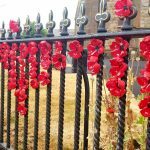 Home » News » Have you seen the Poppies appearing in Fleetwood? Regular readers of the Jones Harris news pages might remember that we told you about receptionist Yvonne Crewe helping out with poppies for remembrance at the Willow Garden Project. 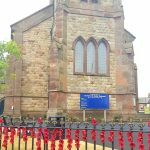 Have you seen the poppies appearing in Fleetwood yet? The Willow Garden Project is a ‘food growing’ community garden here in Fleetwood, for adults with disabilities and mental health problems. They’ve been making the poppies as part of the target to display 10,000 blooms in commemoration of the centenary of the end of WW1 this year. The Willow Garden display (seen above) is now in place at Euston Gardens, and it’s amazing. You should go and take a look. 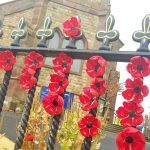 These have been made and installed by many groups of volunteers under the guidance of Fleetwood Town Council. Displays are appearing all over the town. Another installation is in place at the Pocket Park, this time created by Fleetwood Rotary Club. 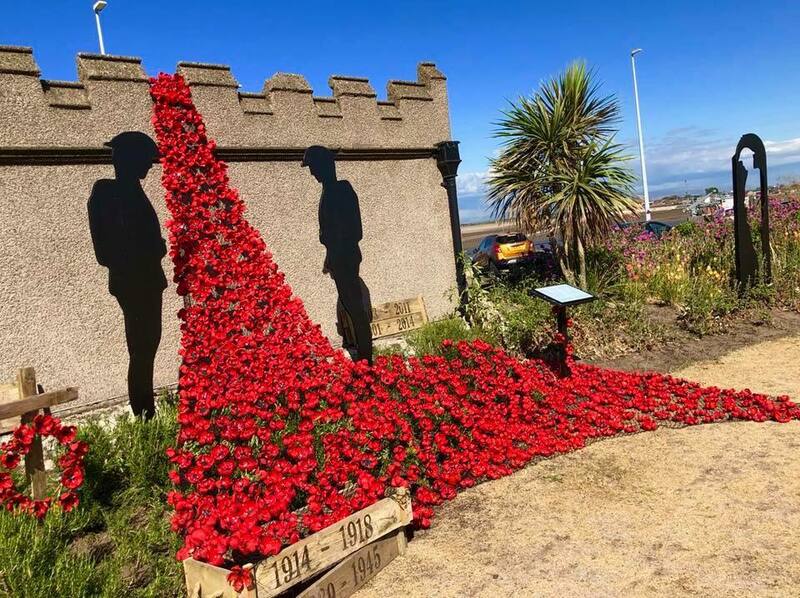 The poppy displays also form part of Fleetwood Town Council’s submission to the national In Bloom competition.